Starter kits include 1 air sampling pump, 36" (3/8 in ID x 36") tubing, a single unit charger, and manual. This unit comes with a US cord. 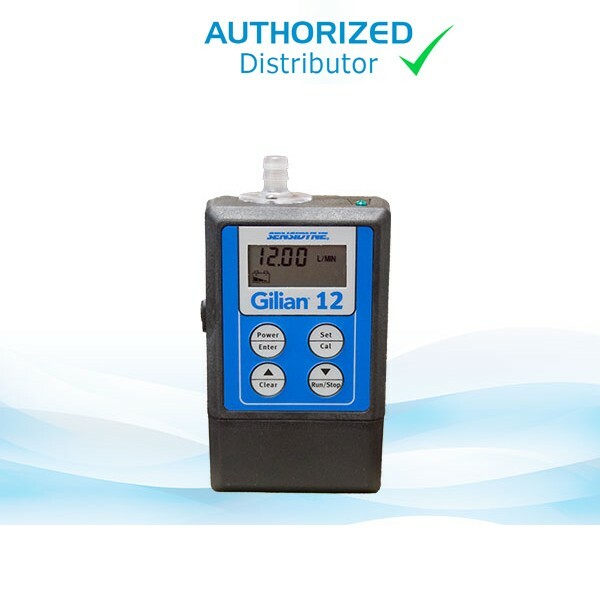 The high flow capability of the Gilian 12 enables sampling capability for applications with flow rates between 4LPM and 12 LPM. NiMH battery with quick-charge time in under 4 hours. Eliminates shipping and disposal issues. Simple four-button design makes pump easier to understand and operate. Live Flow Display Large display continuously shows real-time flow, total sample time and total volume sampled. Special flow control circuitry automatically compensates for changes in flow rate, back-pressure and temperature.